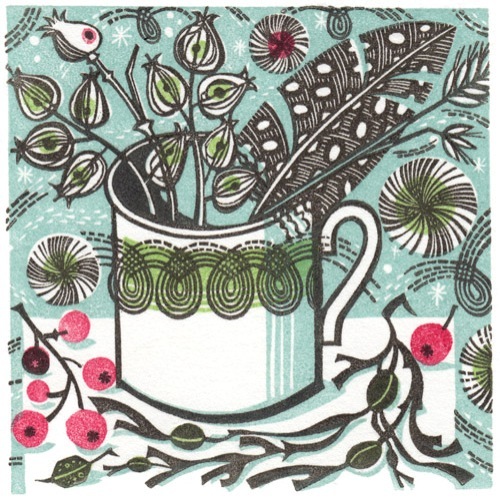 Check out the interesting Facts about Angie Lewin if you want to know the British printmaker. She was famous with the works of screen printing, lithography, wood engraving and linocut. She was born on 18 October 1963 in Bollington, Cheshire. She was raised there. Let’s check out the education of Angie Lewin. For the high school, she went to Macclesfield High School for Girls. In 1983 till 1986, she went to Central St. Martin’s College of Art and Design to study Fine Art Printmaking. Finally she got BA after she graduated from the college. Lewin decided to go to Camberwell School of Arts and Crafts to study printmaking for a year. Get facts about Andy Warhol here. She was interested to study horticulture after she worked as an illustrator in London. 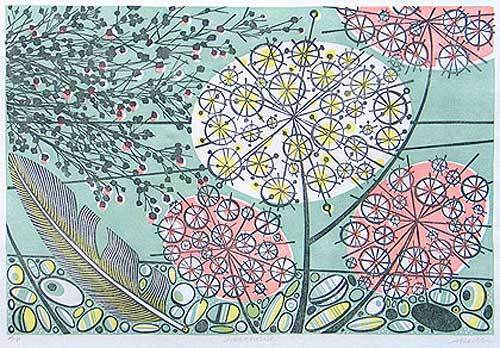 She returned the interest in printmaking after she moved to Norfolk. Today, she lives in Aylsham. 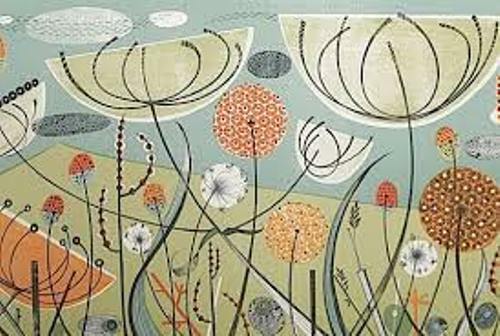 She got the inspirations to create the wood engraving, silkscreen, collage, lithography and linocut from the salt marshes and cliff tops on the Scottish Highlands and North Norfolk coast. Her works feature the contrasting environment of both areas. You can find them featuring the native flora. You can also see her making the watercolor and pencil drawings. She made them when she went back or her walks in the studio. Get facts about Andrew Wyeth. You can see the publication of Merrel on Plants and Places of Angie Lewin. You can see the textiles, drawings and prints of Lewin. 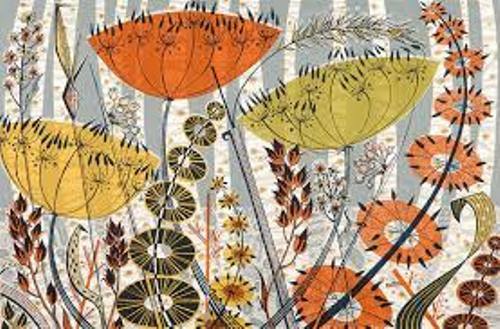 The fabrics of Angie Lewin are often decorated with grasses and wild flowers. You can find them look like collages made of Print cut outs or old paper. 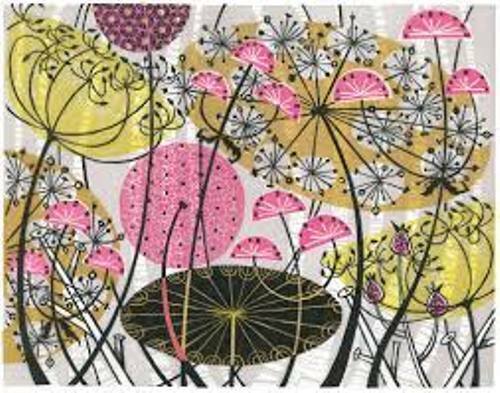 Check out the works of Angie Lewin for St Jude’s stationery and fabrics. Do you know she runs this business with her husband, Simon? There are various kinds of commissions that she had completed such as the commissions for Penguin, Conran Octopus and Picador. If you are interested to know the current works of Angie Lewin, you need to check out the Liberty’s Autumn Winter 2010 collection. Do you want to give opinion on facts about Angie Lewin? The art works produced or created during the present period of time are explained on Facts about Contemporary Art.